Ask a question about 4800 County Road 675 E, or schedule a tour. First time offered in over 50 years. 500+ acres available for residential development adjacent to Lakewood Ranch-the #2 best selling community in the USA. 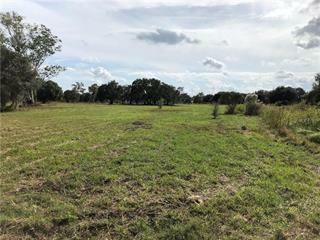 Bordering the existing Hunsader family farm, the land stretches over two miles f... more.rom east to west and nearly one mile from north to south. The property is accessible from County Road 675, with the nearest cross road to the north being State Road 64, and State Road 70 to the south. Nearby existing communities including Panther Ridge, Lakewood National Golf Club, and the new Del Webb Lakewood Ranch. The area also includes The Premier Sports Campus at Lakewood Ranch, home to soccer, football, lacrosse rugby, and other local events year round. The Lakewood Ranch area has over 1,300 business employing over 13,000 individuals. Resident's average age is 45, average HHI is $117,229 and 80% are college educated. This is an unprecedented opportunity to be a part of the area's growth by bringing a new community to market or holding for future development.